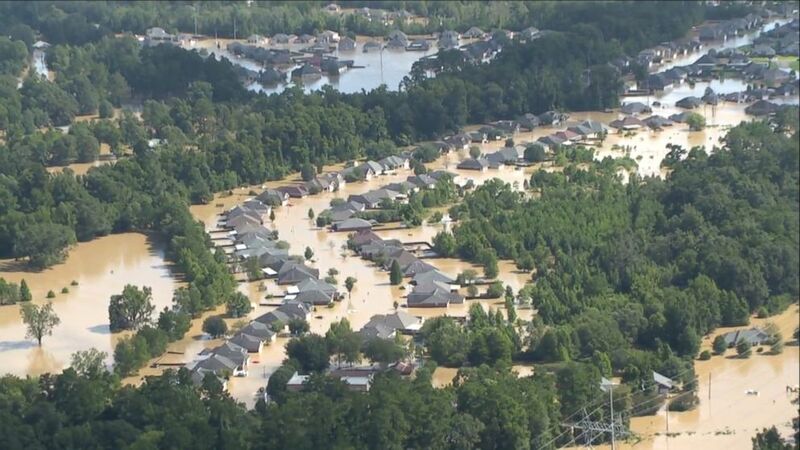 Now, a few points I want to make about health issues and concerns for those that have waded in flood waters and experienced this tragedy first hand. If you received any kind of wound to the skin while in flood waters, make sure your tetanus shot is up to date. Children complete their primary tetanus series between 4-6 years of age with one additional booster dose at 11-12 years of age, and adults receive tetanus booster shots every 10 years. However, with “dirty wounds,” you will need a tetanus shot if it has been more than 5 years since your prior shot. If you are not sure about your last tetanus vaccine, get the booster shot! There are numerous bacteria, namely Staph and Aeromonas, that can be found in flood waters. If you had any open skin or sustained a wound while in flood waters, make sure to watch these wounds very carefully for signs of redness or enlarging in size which can be indications of serious skin infections. If you notice these changes, it is very likely that antibiotics are needed. Diarrheal illnesses can also follow exposure to flood waters. Most of these diarrheas will be self-limited, but especially for young children, make sure your child’s pediatrician is aware of the diarrhea so that your child can be followed closely. For those involved in the clean-up effort, make sure to wear a mask especially when pulling up flooring or tearing out walls as molds and even asbestos can get into the air you are breathing. I have called Baton Rouge home for almost 3 years now, and I have never been more proud to live in this city. In the past few days, I have seen so many acts of generosity between strangers, heard of heroic rescues by everyday people who used personal boats to move others from harm’s way, and watched a community come together to rise above such heartbreak. The road to recovery and rebuilding is a long one that will not be traveled in days or even weeks. For so many, there will be a struggle to find a new “normal” as families begin to put their lives back together following this devastation. But we are a resilient people here in Louisiana, and for all of those who are beginning to pick up the pieces, you should all know, you are not in this alone. After all, we are #BRstrong.